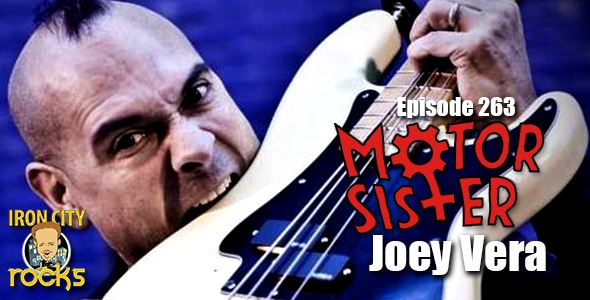 In Episode 263 of the Iron City Rocks Podcast we are joined by Joey Vera (Armored Saint, Fates Warning) to discuss his latest product, Motor Sister. Motor Sister is a band put together to pay tribute to Mother Superior featuring Joey as well as Scott Ian and others. Joey talks to us about doing the record and how enjoyable the process was. We also discuss the band’s hopes for live shows. Joey also updates us on Armored Saints new material and tour with Saxon and updates us on Fates Warning’s plans. Chip DiMonick talks with us about the band’s new EP “Ungaged” which will be available April 10. We also have a great discussion on the music business as a whole.